The Visiting Nurse Association of Johnson County (VNA) is partnering with the University of Iowa to offer Stepping On falls prevention workshops. The Visiting Nurse Association is also part of the Sure Steps community falls prevention project. Sure Steps is designed to increase everyone’s awareness of the serious effects of falls, and to promote fall prevention measures. Falls put you at risk of serious injury. Prevent falls by learning more about your personal fall risk and by implementing fall prevention measures. Falls do not have to be an inevitable consequence of aging- many falls can be prevented. 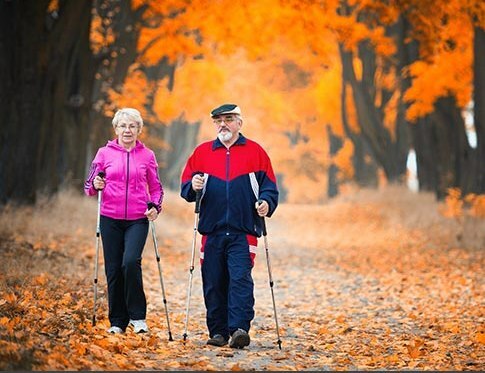 An investment in fall prevention is an investment in your independence! • Every 13 seconds an older adult is treated in an emergency room for a fall-related injury. • For older Iowans, falls are the leading cause of injury-related deaths. Give the Gift of Home Safety! Increase your physical activity to maintain or build balance, leg strength, and flexibility. Talk with your health care provider or pharmacist about your medications and the risk of falling. Make sure side effects of prescribed or over the counter medications aren’t increasing your risk of falling. Find out what you can do to manage the risks. Find out your risk for falls. When you see your health care provider ask for an assessment of your risk for falls. Other sources of fall risk assessments: VNA completes a personal fall risk assessment when they complete the home safety assessments. Keep your home safe. Remove tripping hazards, increase lighting, make stairs safe, and install grab bars in bathrooms. Some individuals may need additional modifications. VNA offers personal risk and home safety assessments to Johnson County residents. Call 337-9686 and ask for a free Sure Steps assessment. Get your vision and hearing checked annually. Update your eyeglasses as needed. Your eyes and ears help keep you on your feet. Take good care of your feet and wear comfortable, supportive shoes that fasten securely to your feet.